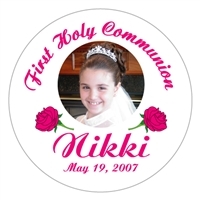 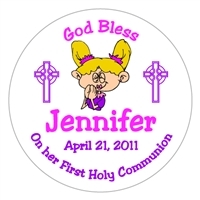 Celebrate your child's First Holy Communion with our personalized Communion lollipops or bubble gum tape favors, that can be customized just for you're special religious event. 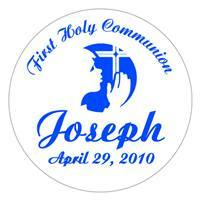 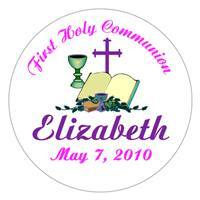 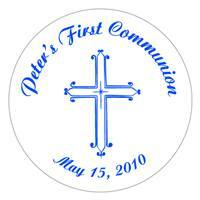 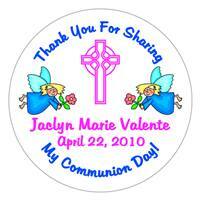 Communion lollipops or bubble gum tape favors are among our most popular first communion favors. 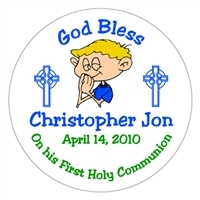 We can personalized any of our lollipops or bubble gum tape designs with a photo, event colors, or graphic.